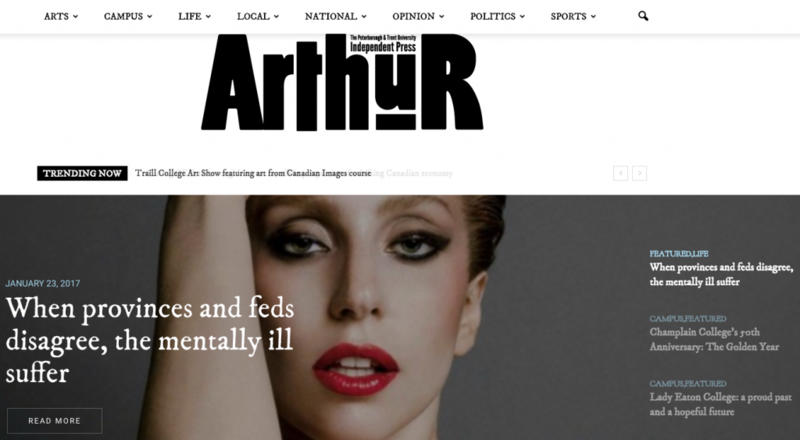 PETERBOROUGH – Trent University student paper Arthur is facing financial difficulty but is making strides to correct the problem. The Arthur has been accumulating a debt of close to $10,000 yearly since 2011. The paper’s board was not made aware of this until last year, when the current editors were trying to buy new computers. At a meeting of the board, editors, staff and interested students Sunday, editors Zara Syed and Yumna Sawnya said the Arthur has been taking steps to ensure the paper will continue to represent Trent students. During the general meeting the board’s new treasurer, Joshua Skinner, stressed it was difficult to find a single cause of the debt. “It’s impossible to point to a single issue over the course of five years,” Skinner said. As of the 2016-17 publication, he said, the board has cut editors’ hours, stopped employing staff who weren’t paid through the campus work-study program for students, and switched from a weekly publication schedule to ever other week. Printing costs. The Arthur was costing about $4,000 per edition. The switch to one issue every two weeks, as well as ceasing colour printing, means the cost is now a quarter of that. Staffing practice. Staff were being hired who were not part of the work-study program, which provides funding for part-time jobs on campus for full-time students. “Through the last few editorships, up until last school year, editors were not aware that hiring non-Trent work study program staff was financially unfeasible,” says a report from the board posted on the Arthur’s website. The editors’ salaries. Current and past editors were being paid for full-time work. “We’ve cut their pay about 40 per cent to reflect their current workload,” said Skinner. One overarching theme at Sunday’s meeting was that in the past, there had been miscommunication between board members and editors. The board’s budget for 2016-17 is more realistic than previous ones, according to new business manager Samarjit Khaira. The board is aiming to have the debt eliminated in two years if not less. “I think for the first time this company knows what’s really happening,” said current editor Syed. Nevertheless, an investigation into the financial situation by Trent’s administration and Arthur board members is underway.